As far as cooking goes, I am by no means a gourmet chef—I’ve always been more of a baker than a cook. That said, some of my specialties include cereal, salad from a bag, spaghetti and sometimes, if I’m feeling ambitious, chicken. 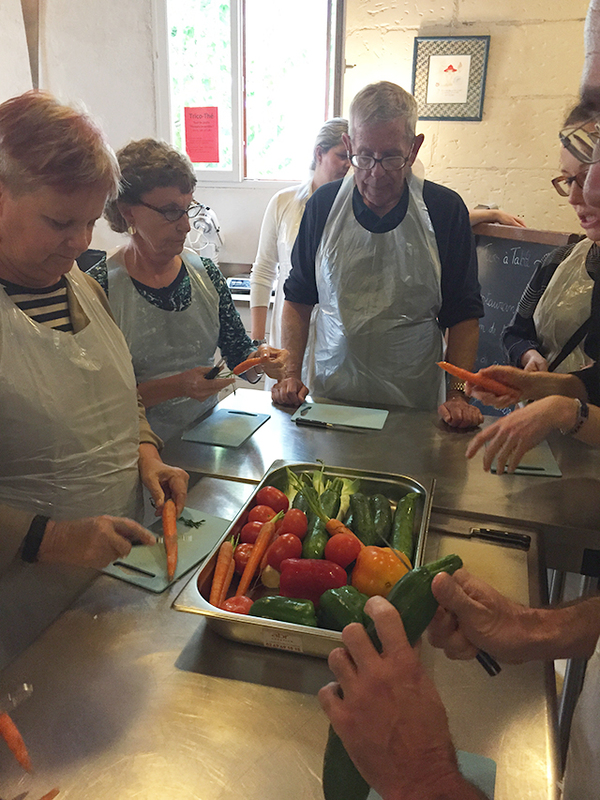 So when it comes to meal prep, I need all the help I can get, which is why I was both anticipating and slightly apprehensive about last night’s cooking class on my tour of France. We arrived at Tours a Table, a culinary school and restaurant in the city of Tours, ready to slice, dice and most importantly, eat! 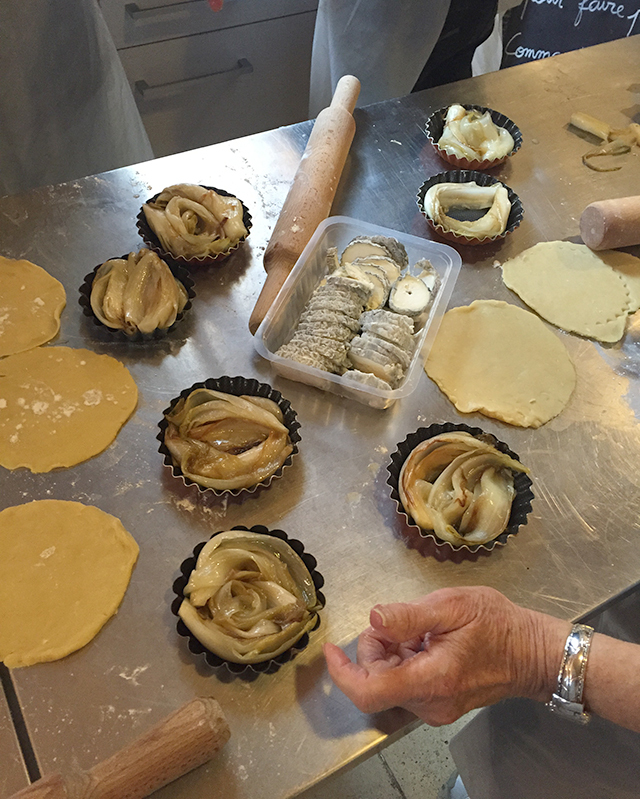 After donning our aprons, we split into two groups, one to make the appetizer and the other dessert. In the spirit of trying new things, I decided to branch out and put myself on appetizer duty. We were making endive and goat cheese tarts, so the first step—making and rolling out the crust—wasn’t foreign to me as I’ve made my fair share of pies. I also got recruited to cut up the goat cheese, which wasn’t too difficult either. 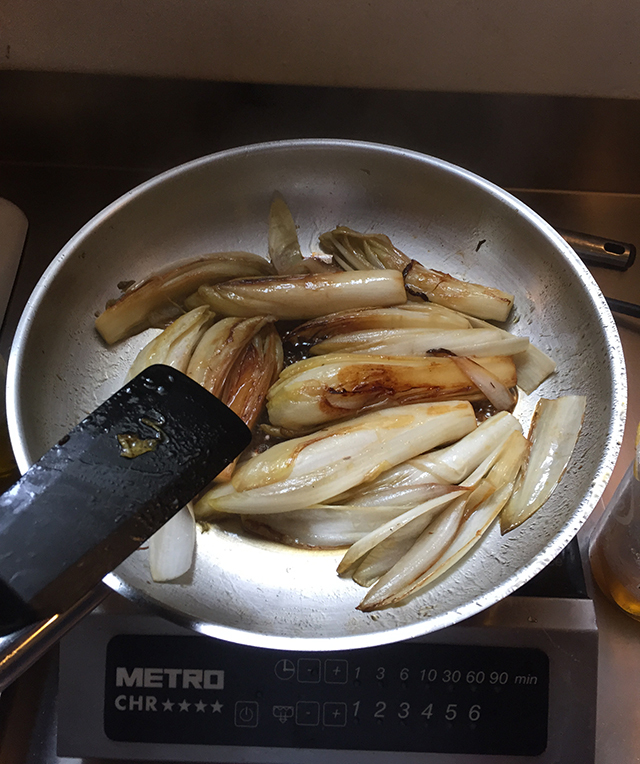 I was starting to feel pretty confident, so when it was time to caramelize the endives, I eagerly volunteered. Everything was going great until the pan started smoking from some of the left over caramelization from the batch cooked just before. Don’t worry, I didn’t burn down the place, but the room did get pretty smoky! After that, everything went smoothly. For the main course, everyone stayed in their groups but prepared the same thing, so it was as if we were cooking together. 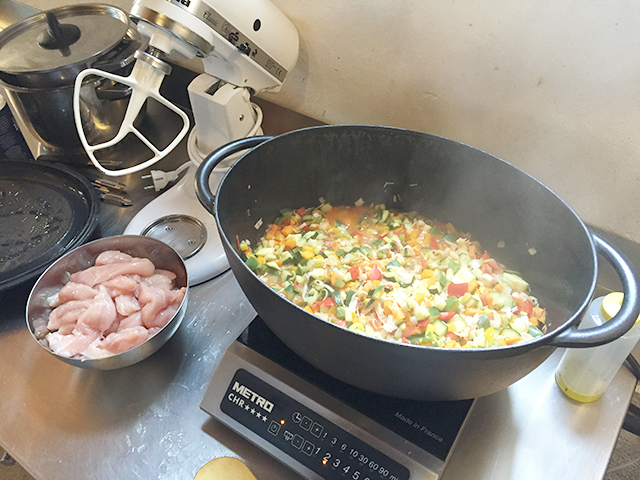 We peeled and diced a colorful selection of vegetables and fresh tarragon, sliced up some chicken and cooked it all in a large cast iron pot with broth, white wine and cream. The smell in that room as everything simmered was wonderful. After a little over an hour, it was time to eat. From the endive tarts to the dessert (a delicious chocolate lava cake), everything was quite tasty. While I still don’t think I’m head chef material, I can at least say I learned a few new recipes and techniques from one! 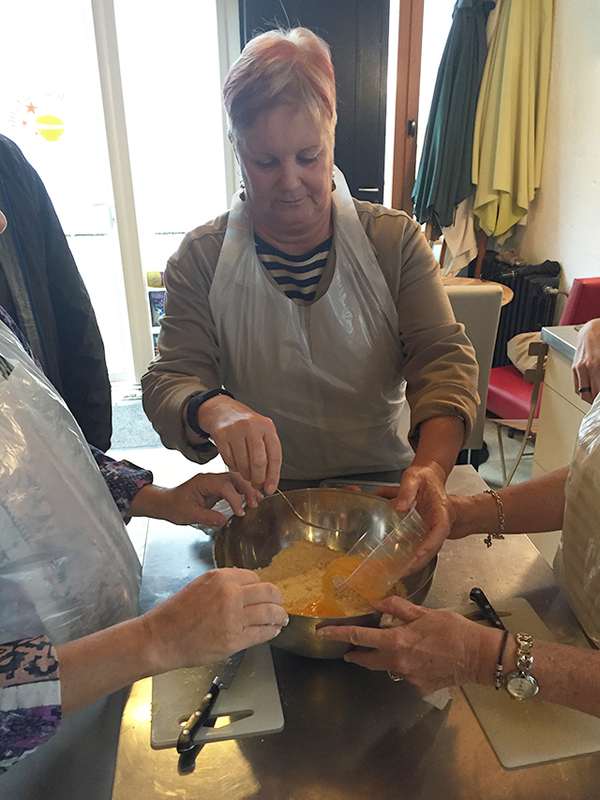 Have you ever taken a cooking class while traveling? Tell us about it in the comments!